Donald Trump's recent feud with a Gold Star family was significantly damaging to his campaign, according to two polls released on Wednesday. A poll from Fox News found that 69% of respondents familiar with Trump's recent criticism of the Khan family said his remarks were "out of bounds." Among Republicans, 41% said it was "out of bounds." The Khans, whose son, Capt. 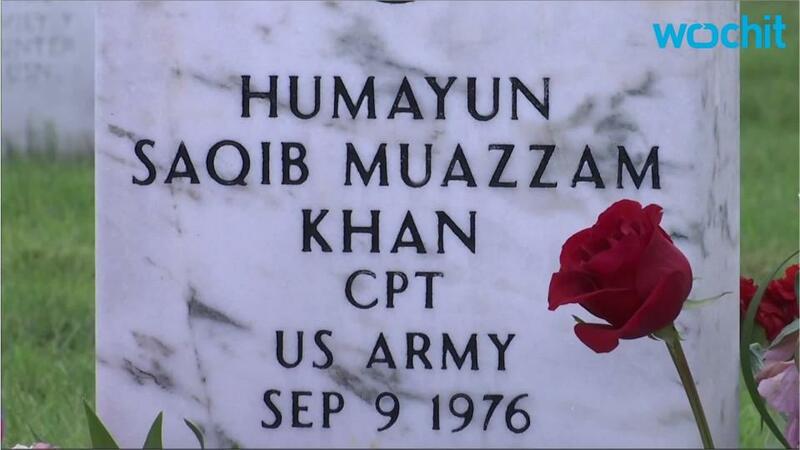 Humayun Khan, was killed during the Iraq War in 2004, denounced Trump during a speech at the Democratic National Convention in Philadelphia on Thursday. Trump then spent days after the address lobbing various criticisms at the family while noting their son was a hero. Elsewhere, a Wednesday Morning Consult poll showed that 34% of registered voters were less likely to vote for Trump as a result of the feud. That number was 53% among Democrats, 31% among independents, and 14% among Republicans. Just 14% of respondents said the feud made them more likely to vote for Trump.